June was a wonderful month in many ways, I climbed and scrambled in mountains, took time to be happy and find motivation for running and racing but I didn´t do many hours of pure running. One of my goals for this summer was to “run” more. I have not put so much attention to that goal, it kind of flew of my mind.. Moving in mountains is just to much fun.. This weekend’s races in Chamonix gave me a reminder.. 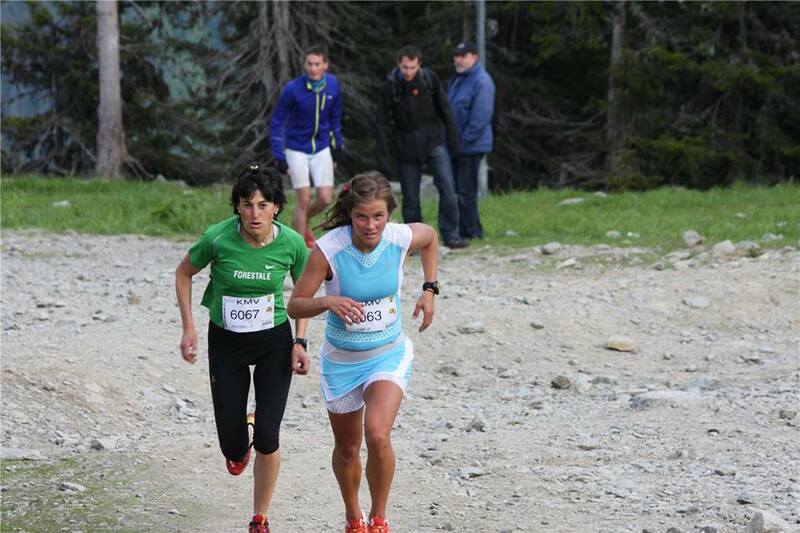 The vertical kilometer on Friday and the “fast”marathon on Sunday gave me good motivation!! The vertical is a new discipline for me and I´m super excited to do more of that! Speaking more of the races I´m happy to finish second on the marathon! I had many reasons for being happy. With a stomach that made me stop several times and the lack of energy uptake I had to run slower than normal (I hope!!) to feel ok. I needed to make the race as comfortable as possible and the only way that I could think of was to slow down the pace. It worked. I was enjoying the mountains and I took time to feel better. I was running on the limit between comfortable and pushing in the shape I had during the race. Well well, that was the Marathon. Which Stevie Kremer from Usa and last year mounting running champion destroyed!! She was incredible and that is so motivating too!! So this weekend gave me a lot of motivation and I can just ask myself why I didn´t pay more attention to one of my goals.. Isn´t goals something to work a little for..? Maybe it´s my big laziness.. I don’t know. But now I have motivation to train for that goal a little more. Maybe just twice/ trice a month but still, it´s so much better than nothing. That feels good to be motivated!! To actually go out to the mountains to train and not just to go out to have a picnic. 😉 And I know that some people react when I say I just move in mountains and I guess that it is training to move in mountains, but it´s not really strenuous exercise. But it makes me mountain strong! July, come on and show me how to train! Congrats Emelie for this week end! I saw you in Chamonix for picture… I didn’t tell you but you, Anna and Kilian inspire me when I run… I hope to see you again… one Day… on a race… Have fun in french Alps!! Way to go, Emilie! I hope it wasn’t the green chocholate from Gåsen which upset your tummy? It was really amazing to see your finish : smiling, cheering with people ! you’re great, so generous ! Stay as you are and continue to inspire us !